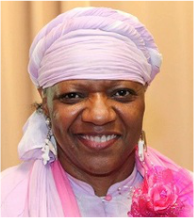 President Message - Sisters United in Human Service, Inc.
On behalf of the Board of Directors and all Members of Sisters United In Human Service, Inc., welcome to our website. Insha-Allah, God Willing, it will provide a glimpse into the social services this organization provides. Founded in February, 1998 by a group of 14 sisters from diverse backgrounds who came together to humbly and sincerely serve Allah by serving mankind. Over the years, many sisters have collaborated to weave a beautiful tapestry of sisterhood and to ensure the mission and vision was realized and carried out. A host of volunteers, community leaders, and business owners have joined with the organization to support their endeavors on this wonderful journey of service and outreach. With the Help of Allah, the organization has served the citizens and communities of metro Atlanta and in keeping with its mission and vision joined with other faith communities locally, nationally and globally to advance the oneness of God and the oneness of humanity. This continues to be a wonderful and sacred journey for the pleasure of our Lord, and one that we plan and hope will continue to provide needed services to the community at large and move the organization to even higher heights of service with integrity and in the spirit of sisterhood. We invite support and participation in this sacred journey, realizing Almighty God always rewards the good that's done, however great or small and increases blessings for any support given to a good cause. We clearly see the human services of Sisters United over the past years as good work for the best of causes, the Pleasure of Allah, Highly Glorified and Praised is He! We would be remised if we did not acknowledge and thank Hajja Khayriyyah H. Faiz, President Emeritus, our founder and leader who worked tirelessly in integrity and collaboratively as our president for our first 14 years. We thank Allah for her and pray He rewards her with all good in the hereafter. Again, welcome to the website of Sisters in United in Human Service, Inc. we are grateful to Allah to have the opportunity to serve, and hope our work will inspire others to join our ranks in service as a member, volunteer, donor, sponsor, or benefactor affiliate. May Allah continue to bless our intentions and endeavors!